As I lay my head on my pillow, I breathed in the scent of the outdoors. Even though it's been years since I hung anything on a line to dry, I can still smell the fragrance of it. Growing up, it was a few years before we got an electric dryer so everything went on the clothesline outside. 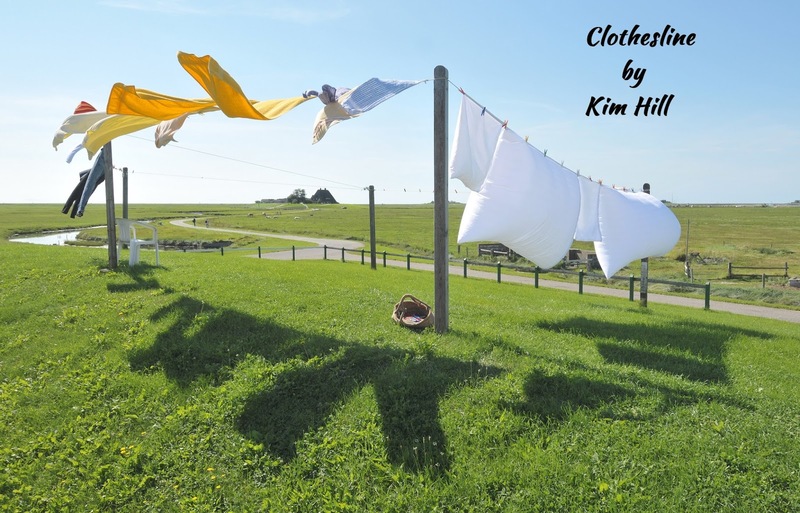 I would stand in the backyard with my mother and help her hang the clothes – trying hard to find a way to play in the sunshine instead of doing work. The laundry would come back crisp and clean with whatever scents the breeze carried – honeysuckle, pine tree, or even the fresh ozone of a storm on the way. After I grew up, moved out, and got my own house, it too was a while before I got a dryer. I had a yellow lab who would tear down every single sheet, shirt, and even the socks that were hung with care. The laundry had to be restarted but some days I miss picking up my bed sheets out of the dirt because I miss that dog. The only thing that comes the least bit close is being able to open up the bedroom window in the middle of fall. The breeze blows in through the window fan, covering all the sheets with the smell of grass and sky. And if you don’t have a window fan, it’s simply not the same. Some nights even in Florida it's just cool enough to bury yourself under a comforter while listening to the leaves rustle outside. The smell of fresh sheets hung on a clothesline is more than just a feel-good moment. It's the memories of doing laundry with my mom who used the old, wooden clothespins and always took them inside with each load, rushing to bring in the laundry before a sudden storm, and it's the memory of a yellow dog named Harley who loved to leap in the air and tear down the laundry so he could roll with it in the dirt.